Quaker Oats is a brand that has been in the pantry of American families for over 130 years. Not only do they provide heart healthy products but they have a firm commitment to the environment. Their ongoing message promotes an active, energetic and healthy lifestyle. However, their current packaging while iconic, does not connect with the message they convey. The packaging is not efficient– it wastes space and is difficult to store in shelves. 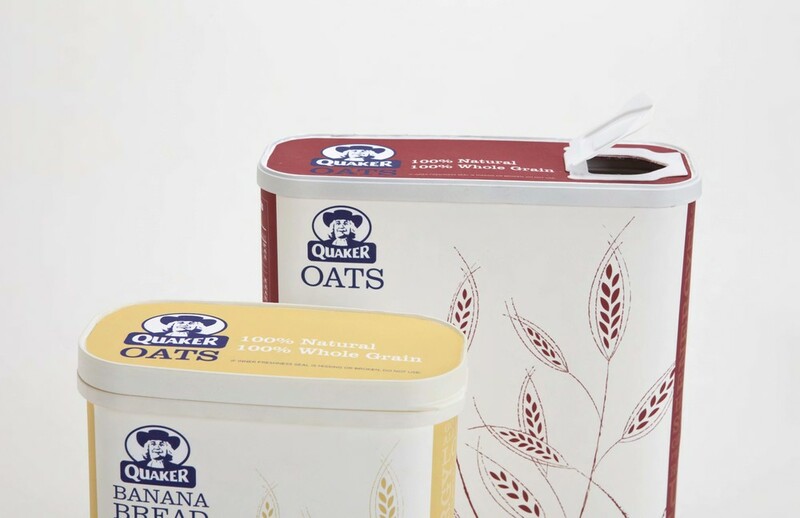 The focus on the package design for Quaker Oats was to connect the consumer to oatmeal in a fresh, modern and environmentally conscious way and to stand out on the grocery shelf. The design now conveys a healthy, active lifestyle. The form and structure of the packaging were modernized and streamlined not only to improve the functionality and practicality, but to reduce Quaker's carbon footprint. The logo was updated to look more modern but yet to retain the company's equity. This package design was part of the Repackaging Challenge for the Southeastern Institute for Packaging Professionals which won 3rd place.